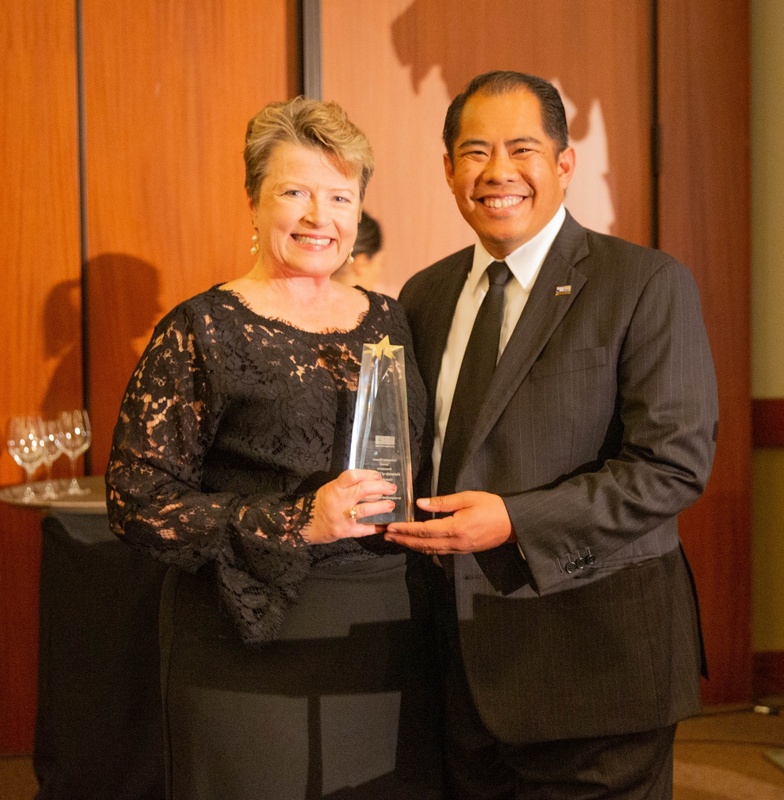 The University of La Verne received the 2019 Education Pioneer Award during the 8th Annual Challenge for Children Gala hosted by Inland Empire United Way (IEUW). The university was recognized for creating education and career pathways for diverse and socioeconomically impacted communities seeking higher education. Sherri Mylott, vice president of advancement, accepted the award during the ceremony held at the Sheraton Fairplex Conference Center. “The University of La Verne is honored to receive the Education Pioneer Award and is committed to helping students of diverse backgrounds achieve their personal and professional success through high-quality education,” Mylott said. The University of La Verne provides its students with a quality, values-based education that enriches the human condition through civic and community engagement. IEUW is a nonprofit organization committed to improving the lives and futures of those in need by strategically investing in education, health, and financial stability. The organization has fed 2,000 children per week through their Kids Pack program, provided millions in new school supplies for teachers, and has housed 1,000 veterans through its Pathways Home program. For more information on IEUW or to volunteer, visit ieuw.org.